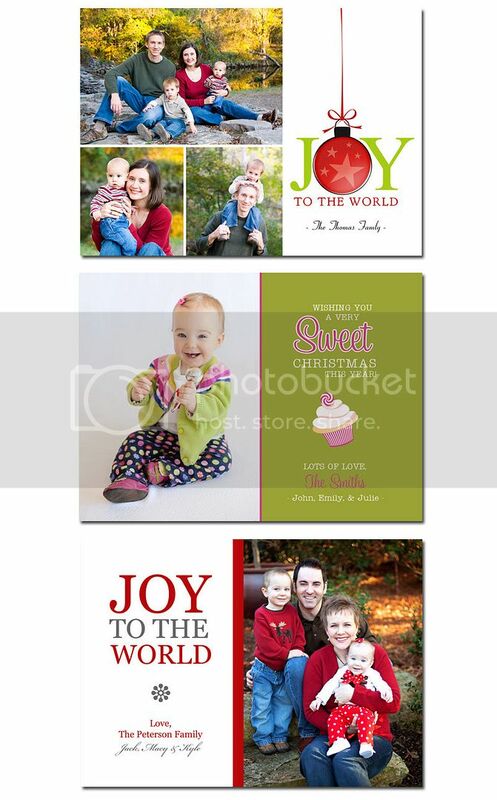 Here are a few examples of Christmas Cards I'm offering this year. There are endless possibilities for the back of the cards. The first card shows an example of what can be done. Usually I will tailor the back to suit the photos from your session or it can be left blank. 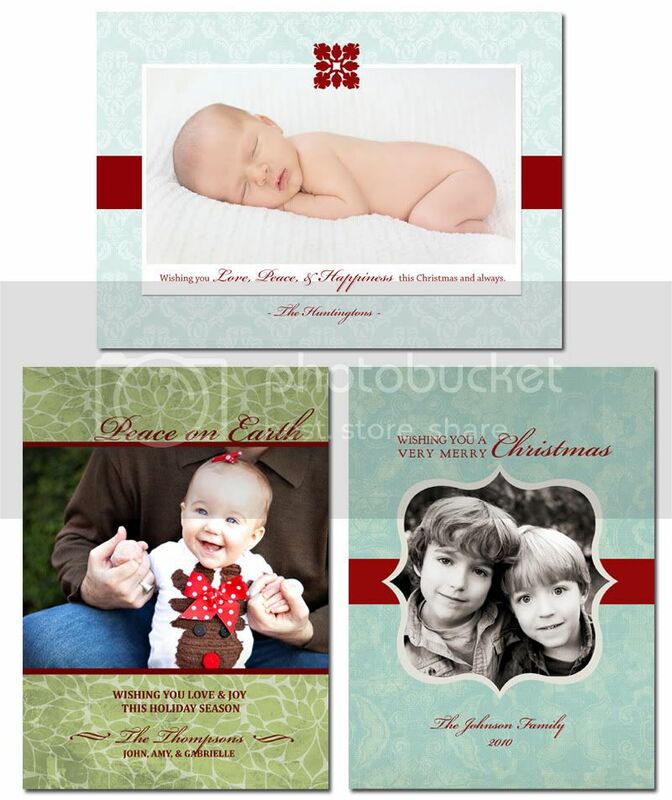 The fronts of the cards can also be changed in any way to suit your taste or your session photos. And also remember that I can create a completely custom card for you as well. Go see all of the designs on my website. Click on "custom cards" and then "holiday cards."